Jamie is married with two daughters. 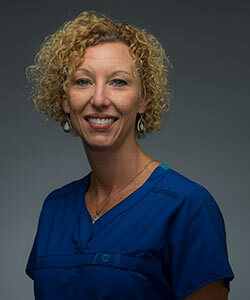 She has worked in orthodontics since 1995, and joined the Gill Orthodontics team in 2003. Her outside interests include spending time with her family and friends, boating, and shopping. Jamie enjoys working in orthodontics because it gives her the opportunity to develop relationships with our patients as they progress through treatment.